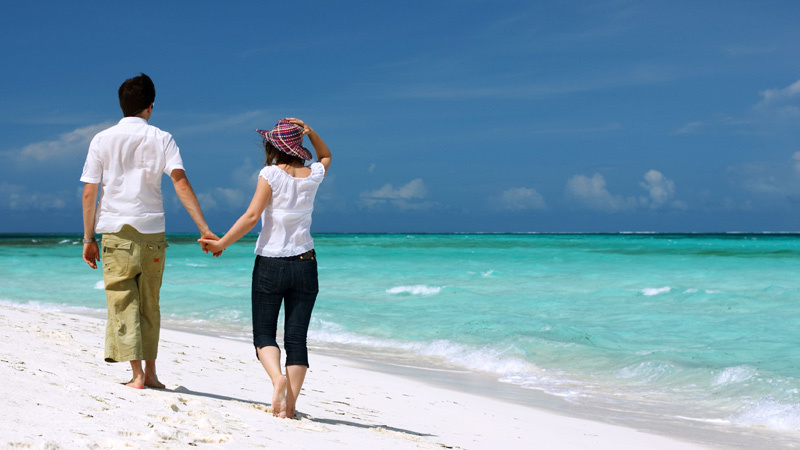 Andaman honeymoon tour packages from Chennai are inevitably a Romantic special for most newlyweds. The packages might include return airfares, solitary dinner in cruises and sea-food delicacies in beach-side shacks, mouth-watering cuisines and amazing site-seeing tours. You can choose to stay at the hotels that shall be recommended for you at the different stay points. The hotels will be chosen keeping the requirement of the honeymoon couples under consideration. The hotels selected will have the privacy of the honeymoon couple under consideration. The airport transfers to and from the hotels can be included. The best deals in hotels are be made available. Andaman is a very popular destination for honeymoon couples from Chennai because of the connectivity. Chennai has direct connectivity via water or ship cruise to Port Blair. There are also non-stop direct flights from Chennai to Port Blair. GoAir, SpiceJet, IndiGo, Jet Airways and Air India run regular non-stop flights from Chennai to Port Blair. Every week there are almost 22 scheduled flights from Port Blair to Chennai. You can avail cheap flight prices and clinch a good deal if you are vigilant and check on regularly at the flight packages. Since Andaman is closer to Chennai compared to most other major Indian cities, Andaman Honeymoon Tour packages from Chennai are quite in demand. Andaman offers a much more pleasant climate when compared to the weather in Chennai. Thus Andaman is an attractive tourist destination for the people in Chennai. Moreover, the legendary beauty of the coral reefs surrounding the Andaman and Nicobar Islands are a special attractions. The pristine beaches, the relaxed atmosphere as well as the not-crowded and unspoilt beaches of Andamans attract a lot of honeymoon tourists. Chennai is situated not very far from the capital city of Andamans, Port Blair. The air distance between these two cities is 1367 kms. Since Andamans has grown in prominence from the days of British Rule in India, it has become a place of special interest for the tourists across the globe. Flight timings from Port Blair to Chennai varies on the basis of the service provider. The minimum time taken to traverse the air distance is 2 hours 10 minutes. Chennai is served by two terminals, namely, Anna International Terminal and Kamaraj Domestic Terminal. It has the capability to handle 320 flights on a daily basis. The latest development in infrastructure and state-of-the-art facilities makes the airports capable of handling lot of passengers on a daily basis. Loaded with all the latest infrastructure and amenities, both the Chennai Airport terminals serve as an excellent connection between Chennai and Port Blair.